The human body is able to synthesize (in the liver) a limited amount of coenzyme Q10, with the remainder being obtained from the diet. Rich sources of coenzyme Q10 include fish (mackerel, salmon, sardines) and nuts. 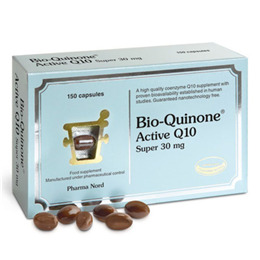 Under normal circumstances, the body is able to maintain adequate levels of coenzyme Q10. However, coenzyme Q10 levels decrease with age. Bulking agent: Palm oil*; Capsule shell: Bovine gelatine; Humectant: Glycerol, Co-enzyme Q10; Antioxidant: Ascorbic acid; Colour: Ammonia caramel; Humectant: Purified water; Thickening agent: Silicon dioxide; Colour: Titanium dioxide. * The palm oil we use is pharmaceutical grade quality. It is also certified, with environmentally sustainable plantation management - at an early stage we became aware of the environmental problems related to the extraction of palm oil. Therefore, we only use palm oil suppliers who can certify, environmentally sustainable plantation management, as documented by WWF, the World Wildlife Fund. 1 -3 capsules to be taken per day or as directed by a physician. To be taken with food. 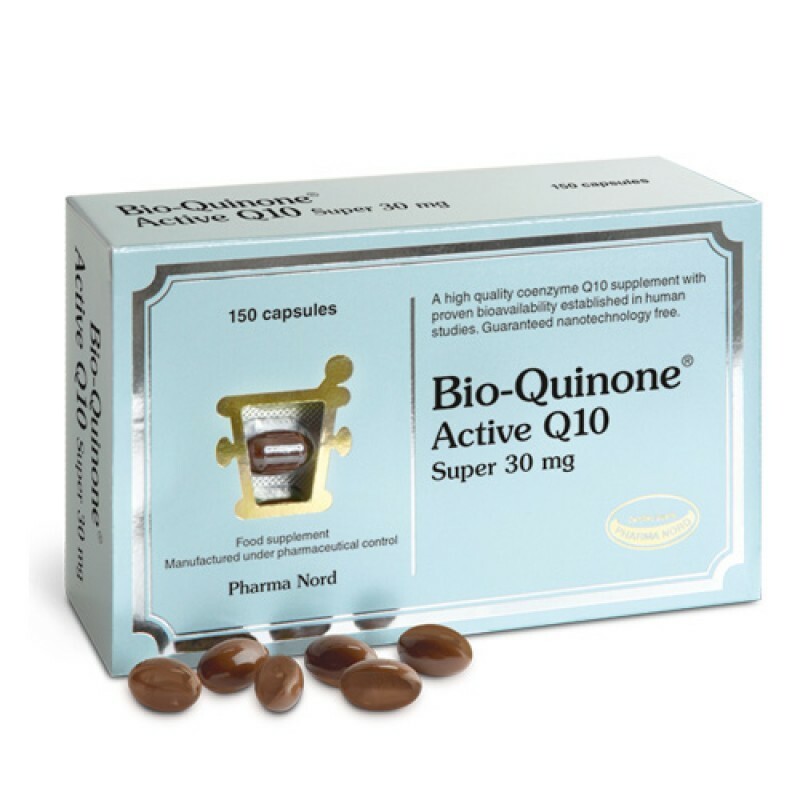 Below are reviews of Bio-Quinone Active Q10 Super - 60 x 30mg Capsules by bodykind customers. If you have tried this product we'd love to hear what you think so please leave a review. Great quality, using as advised by specialist dentist, due to gum disease. Highly recommended , also great energy boost. re-charges, quickens. It's a spark plug for the body. This is great for helping gum disease and heart problems added bonus helps with energy levels too. Supplementing the diet with Co-Enzyme Q10 may help in maintaining and supporting a healthy heart and cardiovascular system. As recommended by Dr Chris Steele.